It's lambing time at Doe Park and for the next few weeks we'll be busy, day and night, delivering around 600 bouncing, baby lambs! 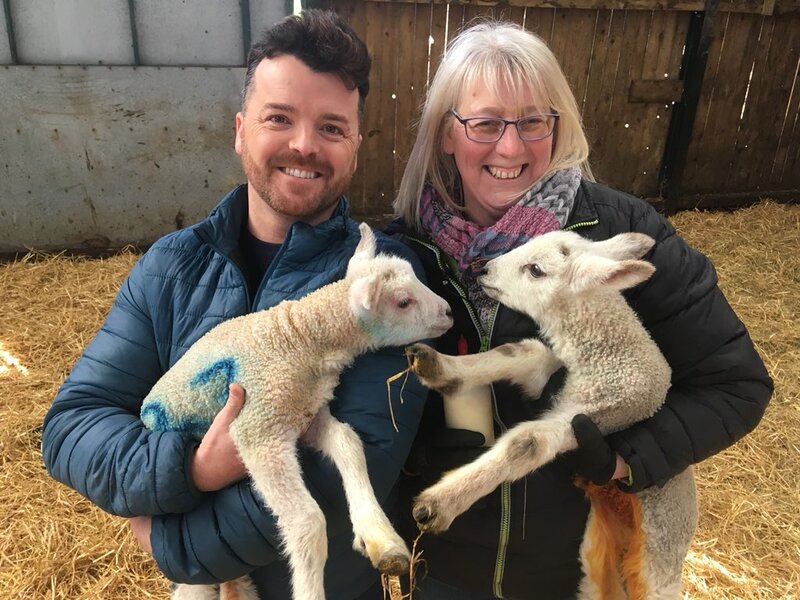 Guests are welcome to take a tour of the lambing pens to see the new arrivals and may be lucky enough to witness a birth first hand. ITV cameraman, Paul Kingston and weather presenter, Ross Hutchinson spent a morning with us for Tyne Tees news so we were even on the telly! We were thrilled and amazed to be awarded Gold in the North East England Tourism Awards Holiday Park of the Year category at a sparkling awards ceremony in Newcastle in November last year. In typical farming style a cow was due to calve on the night of the awards so we were unable to attend and spent the evening in wellies and mucky overalls instead of black tie and evening dress. We did, however, send an acceptance speech from the calving shed which was shown at the ceremony! The calf arrived safely too, and our success featured in a lovely article in the Teesdale Mercury so everything worked out well in the end. You can contact us via email, through social media on Twitter and Facebook or call us on 01833 650302 - if we're not able to answer the phone please leave a message and we'll get back to you. Our Facebook page and Twitter accounts are a great way of keeping up to date with day to day news of what's happening at Doe Park - why not follow us for regular news and updates?